The Marlins and No. 6 overall draft pick Colin Moran have agreed to terms for the full slot bonus of $3,516,500, tweets Juan C. Rodriguez of the South Florida Sun-Sentinel. MLB.com's Joe Frisaro adds that completion of a physical is the only step remaining in the signing process (Twitter link). Moran is advised by Excel Sports Management. The 20-year-old Moran was one of the most highly touted prospects heading into this season's draft when he ranked sixth among draft prospects according to MLB.com's Jonathan Mayo, seventh according to Baseball America and ninth according to ESPN's Keith Law. Aside from No. 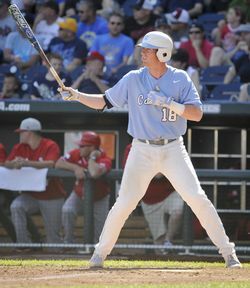 2 overall selection Kris Bryant, Moran was thought to be the best college bat in the class. Mayo wrote that Moran is a polished hitter who should be able to stay at third base long-term and grow into some more power. Law praised his discipline, noting his "absurd" strikeout-to-walk ratio (he finished with 55 walks and just 20 strikeouts in 60 games), but raised some questions about his unorthodox swing. Moran is the first college bat that the Marlins have taken with their top pick since they selected Mark Kotsay out of Cal State Fullerton in 1996 (they did select Chris Coghlan out of Ole Miss in the supplemental first round in 2006). Moran is just the eighth college player the Marlins have selected in the first round in franchise history, dating back to 1992. Now that Moran has agreed to terms with the Marlins, the only question mark for tomorrow's 4pm central time signing deadline is Blue Jays pick Phil Bickford. MLB.com's Joe Frisaro first reported that a deal was close and could be completed Thursday.